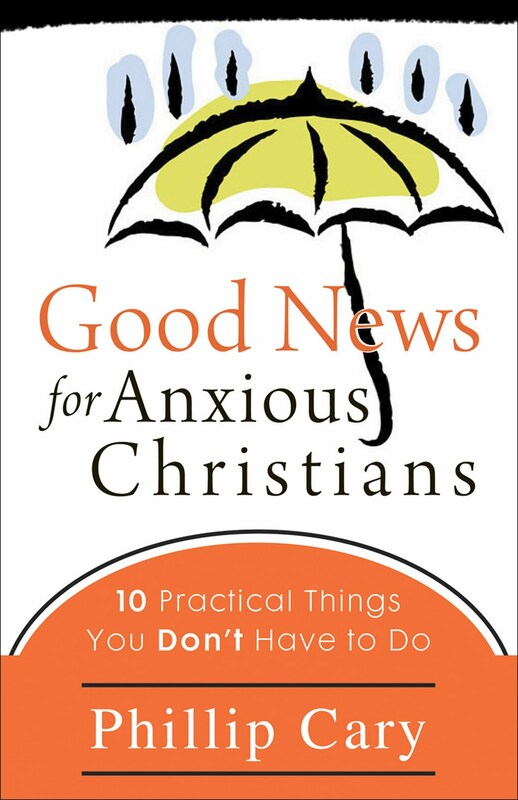 This is the title of the first chapter of Phillip Cary’s book Good News for Ancient Christians, introduced in the previous post. “Or, How God Really Speaks Today” Is the chapter’s subtitle. Cary discusses a comment in one of his student’s papers. The problem with revelation, this comment said, was that you can’t tell if it’s the voice of God. How do you know the voice you hear is the voice of God? One problem is that this student didn’t think of revelation in terms of Scripture but in terms of something resembling an audible voice arising within one’s heart or mind (1). Cary’s response to this student: “I have good news for you: the voices in your heart are all your own. So you don’t have to get all anxious about figuring out which one of your voices is God. None of them is. The revelation of God comes in another way, through the word of God in the Bible, and this is something you can find outside your heart” (2). I know I wouldn’t have answered this student in quite the same way; for one, I couldn’t tell someone else that a voice they hear is not the voice of God without allowing that it could possibly have been God’s. But I agree with his major point. God does not ordinarily speak to us through what we would call a voice, i.e., what we hear when we hear another person talk out loud. You might say, well what about all the times in the Bible (particularly in the Old Testament) that God does speak to people in what we have every indication to believe is some sort of voice? In most cases, however, the text simply says that God said to — and there are typically no details about its audibility or any question/confusion whether it was one’s own thoughts or the voice of God. However God spoke in those instances, it is certainly different in some way than how is he said to speak in people’s hearts today. To be honest, we all know that this is a problem. I would bet most of us at least have heard some one describe what God has said to them, and we are quite confident based on our understanding of that person or our understanding of God, or both, that God did not actually tell them that. (Cary gives the example of guys at his college telling girls “I think God is telling us he wants us to get together” ). But how do we address this? Do we know for sure that God didn’t talk to this person directly? In most cases, we can’t know for sure, the one exception being when God is reported to have said something that is known to be an error or even a lie. Something to think about. Anyway, as Cary later asserts, listening for God’s voice in the heart has only recently (new evangelical theology) displaced Scripture as the most important way God makes himself known (2). (He also admits that this way of hearing God speak has become so dominant in American evangelicalism that his students are not aware that it was ever any different ). Again, even in the groups I’ve been a part of in which hearing God’s voice in your heart was held in high regard, I’m not sure it eclipsed Scripture. But the point still stands. The canon of Holy Scripture is the solid, reliable revelatory source of God’s nature and his will. It is what has historical grounding as providing the authoritative word on these matters–not what an individual thinks God is telling them in their hearts. So, just as Scripture is external and hearing God’s voice is internal, Scripture is somewhat more objective whereas hearing a voice is much more subjective. God speaks to us a person, i.e., some one else other than us. “And you can’t listen to another person just by hearing what’s in your heart” (3). Acknowledging the clear biblical teaching of the indwelling of Christ and the Holy Spirit, Cary responds, on the basis of texts like Romans 10:15, 17, “Christ gets into our hearts precisely as we put our faith in the word of Christ that we hear preached to us. He is a person who is inside us because we find him outside us. That’s how it always goes with persons” (3). Another problem Cary points out is that sometimes we fail to take our own voice seriously. He gives the example of a girl who is crazy about a guy but at the same time is uneasy about him and about the way he treats her. The voice that says “I don’t feel right about this” she attributes to God, because “she’s never thought of her own voice as something worth listening to.” She has to label this wise thought the voice of God because she can’t take it seriously any other way (5). If it’s a wise thought, in her thinking, it must be God’s. This “new evangelical theology” which puts a priority on hearing an actual voice from God “undermines her sense of morality, her responsibility, and her adulthood, not to mention her self-knowledge” (6). This is why, Cary, concludes that the new practice of “hearing God speak” “is doubly bad for us. By trying to identify which voice in our hearts is God’s, we not only misidentify God, we fail to know ourselves for who we really are” (8). “The good news about self-knowledge is that it’s ok for your feelings and thoughts to be your own, not to be the voice of God. For the good news about God is that he makes himself known the way a real person does, by speaking to us from outside our hearts” (14). Speaking about the prophets Cary says, they never talk about hearing God in their hearts. They talk about dreams and visions, but they “know nothing of the practice we have been taught today where you try to quiet yourself and hear God’s voice in your heart” (16). “The word of God still comes out of human mouths and resounds in the ears and hearts of his people. That’s where you go to hear God–you dwell in the community of his people, because that is where his word is” (14). Though he doesn’t pursue it, this is where Cary deals a searing blow to the flaw of individualism in contemporary Christianity. Reflecting on the church’s activity of praying and singing the Scriptures, Cary says “That’s how it works, because the place to look for God’s word is not in your heart but in the gathering of God’s people in worship, prayer, preaching, and teaching” (15). And he provides examples of Paul’s admonitions to second-person plurals as indications of this (e.g., Col 3:16; Eph 5:18). One pitfall of modern English translations of Greek is that Greek uses different forms for “you” as it refers to an individual and “you” as it refers to two or more people. With the Bible in the hands of individual readers reading to themselves, an English “you” which actually corresponds to a Greek “ya’ll” leads to the misconception that the epistle writer is addressing you and only you. Now the epistle writers do use the single “you” at times, but even when he does so, an individual is never addressed in such a way that what is said is irrelevant to the group. I’m sure at some point I’ll write more on this issue, but as personal is it is, Christianity is not private. Other religious options may allow for you to engage them as what you belief in your own privacy, and that’s ok; but Christianity does not fit into that mold without being warped beyond recognition. Indeed, as Cary asserts, the Spirit “does not come to give people private instructions.” That was never the purpose of prophecy, which was instead for the sake of the community of God’s people (16). So what is the best place to hear God’s “voice”? “… in a gathered congregation of the Body of Christ, where he is present to teach, comfort, warn, and guide all who believe” (16). For Cary, of course God speaks today. But we must correct the common view that the only, or even primary, way God speaks today is in the privacy of individual hearts. Cary makes the point that many haven’t been taught to hear the gospel as God’s word. Once people are saved (most of the time thinking that the main thing they have done is avoid a negative post-death eternity), “they think the gospel of Christ has nothing more to say to them about their Christian lives” (17). Also, of course, God can speak in a voice to an individual heart, but Cary wishes to face the question of what God actually does rather than actually what he can do (17). This chapter features a clever conclusion paragraph about the Lord’s face being a human face and his voice being a human voice. This is what makes it “okay that our voices, too, are our own human voices–even the voices of our heart. They don’t have to be God’s voice to be worth listening to, or even to speak the word of God” (18). This is a fine point. From the incarnation, to eating and drinking and weeping and rebuking, to dying and rising and ascending, Jesus is God’s prime illustration of just how much he meant it when he created us and called it good. So we should listen to our hearts. I agree with that. But the main criticism I have of Cary’s chapter is that he does not discuss the danger that is associated with doing so. As much as we should listen to our hearts, we should follow the biblical patten and speak to our hearts. The heart basically a way of talking about the entire inner person, emotions, thoughts, all of it. And our inner person (like our outer person) is messed up. Jeremiah says “The heart is devious above all else” (17:9). Yes, listen to your heart. Don’t ignore yourself. But as you do, pray “Create in me a clean heart, O God” (Psalm 51:10). And Cary makes a good point: to hear God we turn away from our hearts (8). As one would perhaps expect since Cary is more of a philosopher/theologian, the biblical texts aren’t consulted to the extent that they could be and probably should be if we are to discuss the biblical validity of these ideas. This is the book’s major weakness. Still, even if Cary approaches these ideas from a primary philosophical/theological point of view, his arguments should be acknowledged and dealt with according to the testimony of Scripture (even if we have to do much of that biblical searching on our own). And, as I’ve said, I don’t think we should dismiss the possibility of God speaking to us through a voice, but there is much value in recognizing that if he does speak through a voice, it’s likely in the form of the words of your neighbor, or the testimony of Scripture, or the message of a work of art, or whatever. God is that big. You don’t have hear God’s voice in your heart.